If you are thinking about trading in your vehicle for a more economical ride, we invite you to visit our dealership and see the Toyota Yaris or Toyota Yaris iA near Concord, New Hampshire. 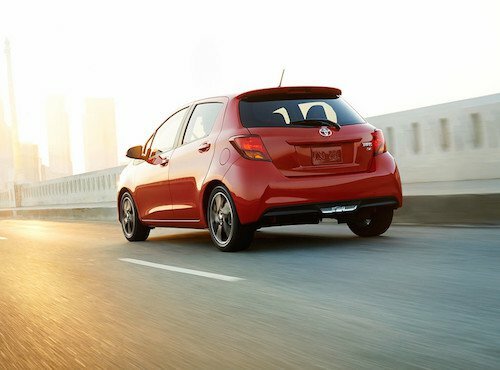 With a remarkable savings at the pump and a modest base MSRP, the Yaris is definitely an affordable new car. We have plenty of new Toyota Yaris models available now and we usually have pre-owned models in stock. Browse our full new and used inventory online and see vehicle details, MSRP, color options and trim levels. We offer a variety of auto financing options and are happy to explain the benefits of buying or leasing a new car or how to finance a used car. Our Toyota experts can also help you take advantage of current dealer specials or factory incentives that will save you the most money and reduce monthly car payments. So if you are ready to start saving more money, come test drive a Toyota Yaris near Concord, NH.